Hayasizaki Iai Shrine (林崎居合神社), enshrines the sword master Hayashizaki Jinzuke Shigenobu, is the sacred shrine for all Iaido people because this is the birth place of Iaido. He trained his sword here and find the secret of sword, "Pure Iai" in1559 at this shrine. 2. use local bus to Hayashizaki Shrine. Kumano Iai Ryo Shrine is the official name of this Shrine. It was built in 807. ... is the founder of Iaido and one of the famous sword master during the Sengoku Peirod. In 1547, his father was killed, and he started training martial arts for his revenge. 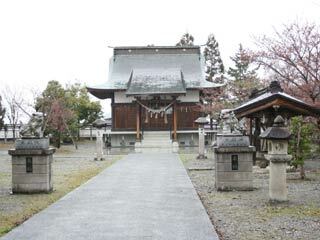 In 1556, he had a enlightenment of the secret of sword at this Kumano Shrine, and established Iai. In 1561, he succeeded his revenge, and after that, he traveled all over and train many students. His style is called "Muso Hayashizaki Ryu "神夢想林崎流." Legend said, Jinsuke learned Kashima Shintoryu from Tukahara Bokuden, the sword saint. Also, Jinsuke trained samurai of Kato Kiyomasa. Also, Jinsuke considered as the founder of Muso Jikiden Eishin Ryu.